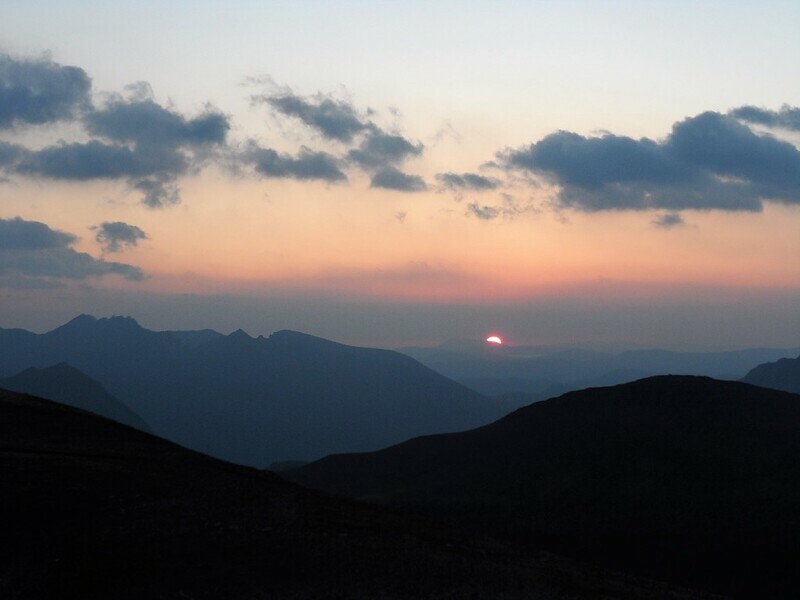 First TR in a while, my first visit to the Fisherfield Forest & one I was looking foward to. 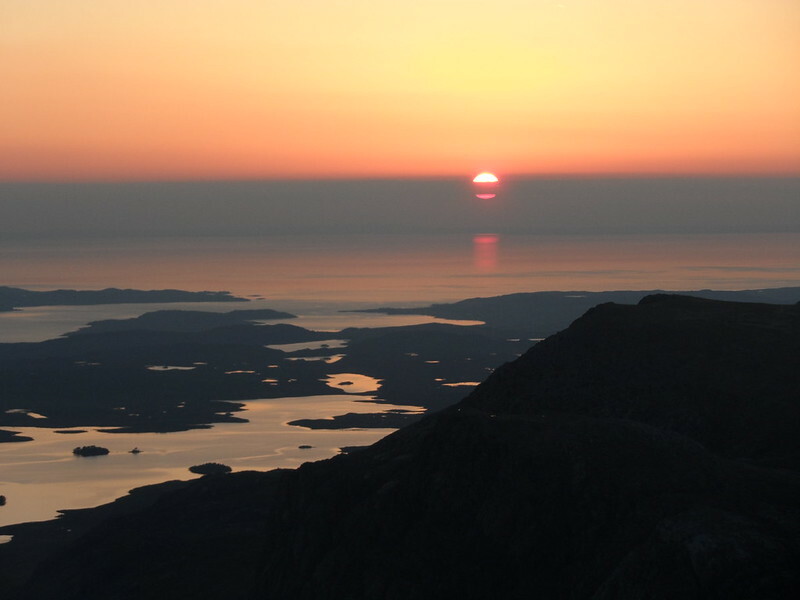 Robin had been there 3 years previous doing the Fisherfield 6 & was keen on a return via Poolewe taking in a few Corbetts with a high camp. 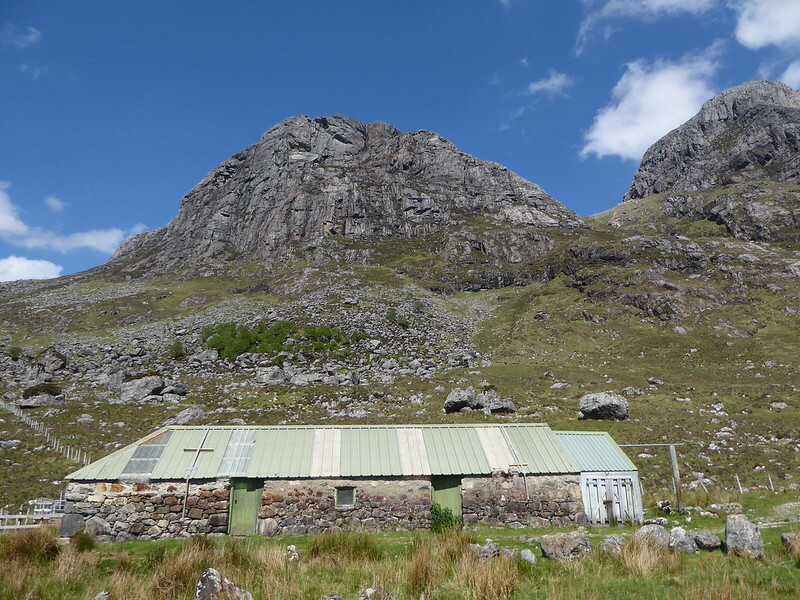 We left Edinburgh Thursday morning on our way to Forest Way Bunkhouse near Ullapool. Robin's good friend Ian is the proprietor there & we had a few beers with him watching the UEFA Europa League final. 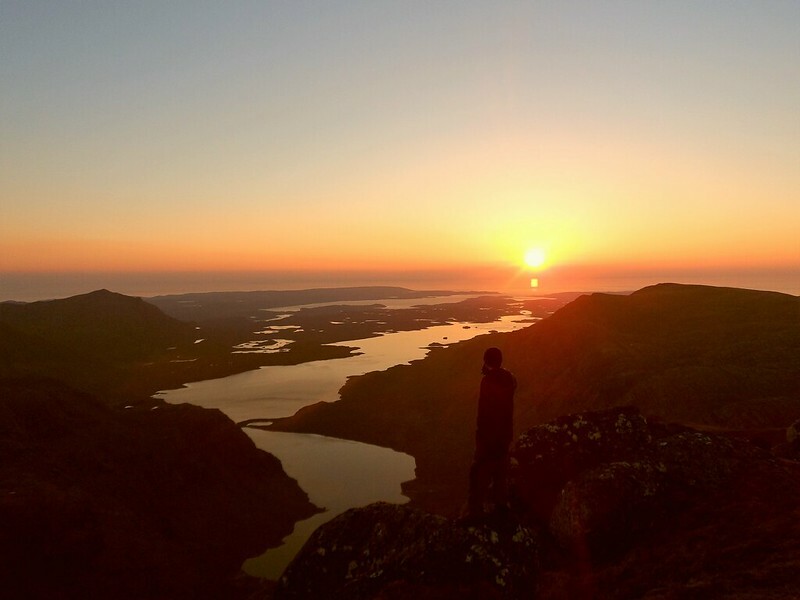 The original plan was to incorporate an initial summit camp on the Corbett Beinn Lair, but pouring over the map on the dining room table, Iain convinced us that we'd be better getting distance under our belts by walking to Carnmore and camping on A'Mhaighdean first. 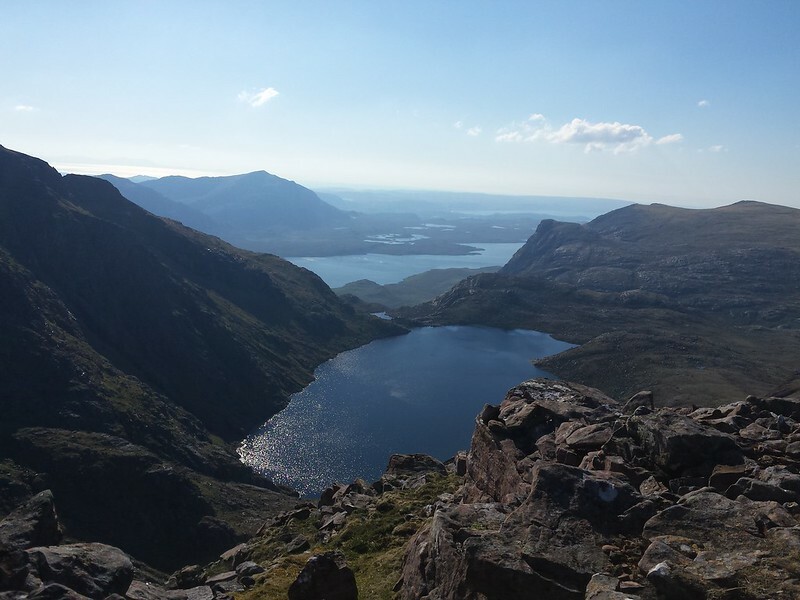 The thought of carrying heavy packs over 3 hills in hot weather was another deciding factor so we altered our plan with Iain's suggestion in mind. The next day we made the short trip around to Poolewe and found a space to park in the lay-by opposite the campsite. 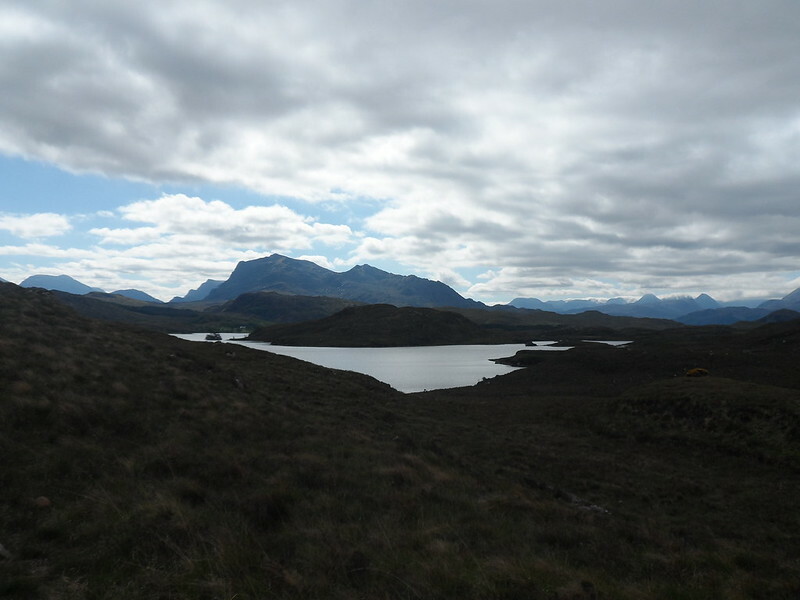 We set off just after 10 o'clock and followed the excellent path around the north side of Loch Kernsary and to the farm at Kernsary. The dogs in the kennels barked away at us as we passed by. Not wanting to end up at Bad Bog, we ensured we took the right-hand fork into the woods. We stopped at the old barn at Canmore. The heat was pretty intense & it provided some relief. I wasn't feeling 100% due to lack of food & the heat. 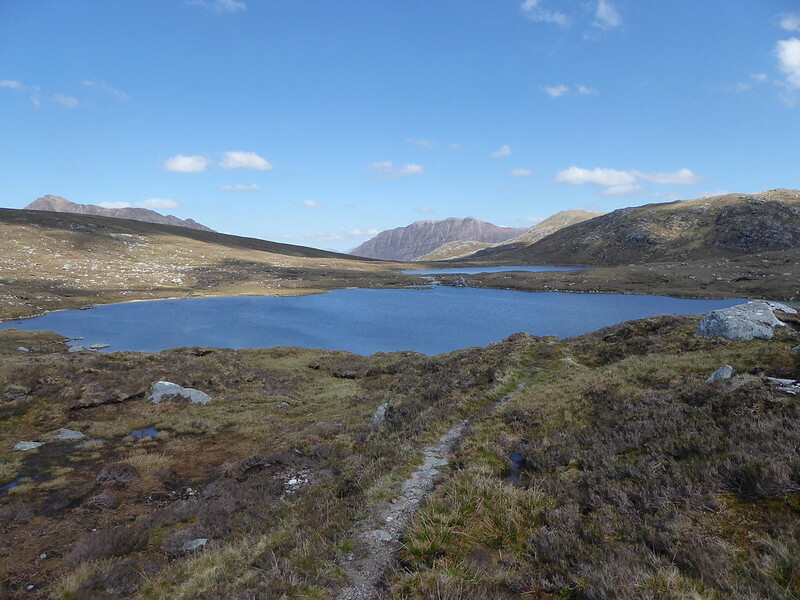 We had lunch before we made our way on the path above Dubh Loch. 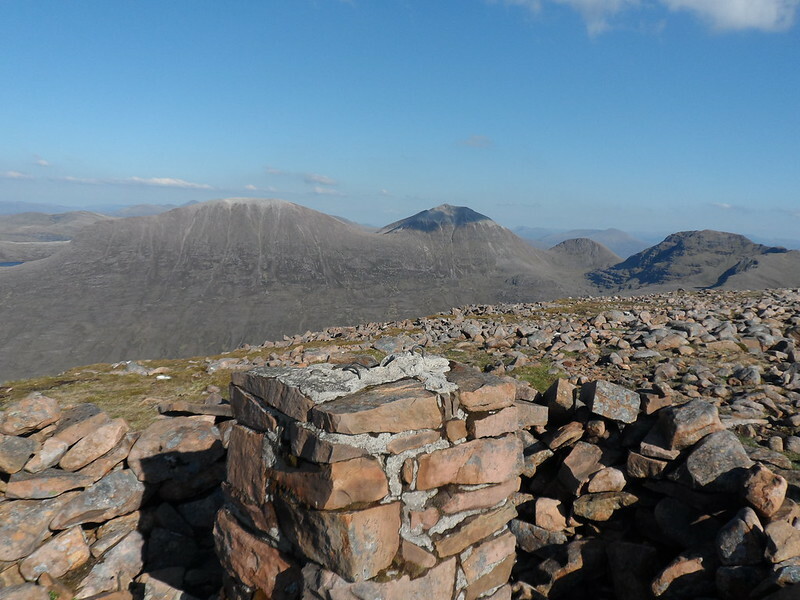 We considered doing the Corbett Beinn a'Chaisgein Mor however time was marching on. 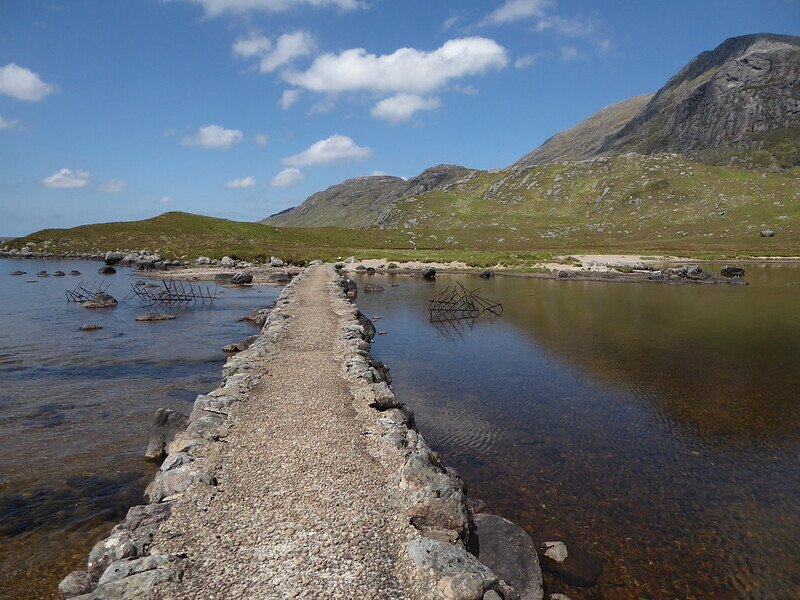 At Lochan Feith Mhic'-illean we took the path branching off to the south east towards Fuar Loch Mor. 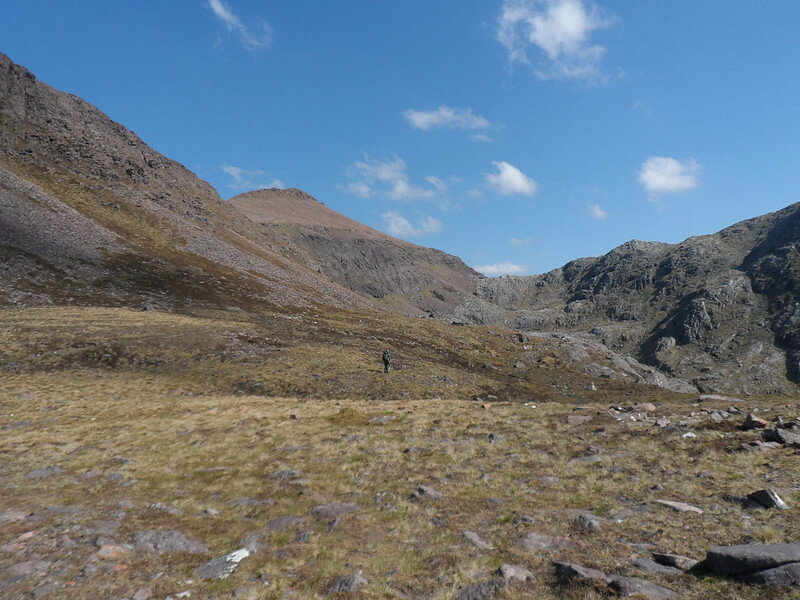 Again on the approach up to the bealach the heat was sapping my energy with no shade. 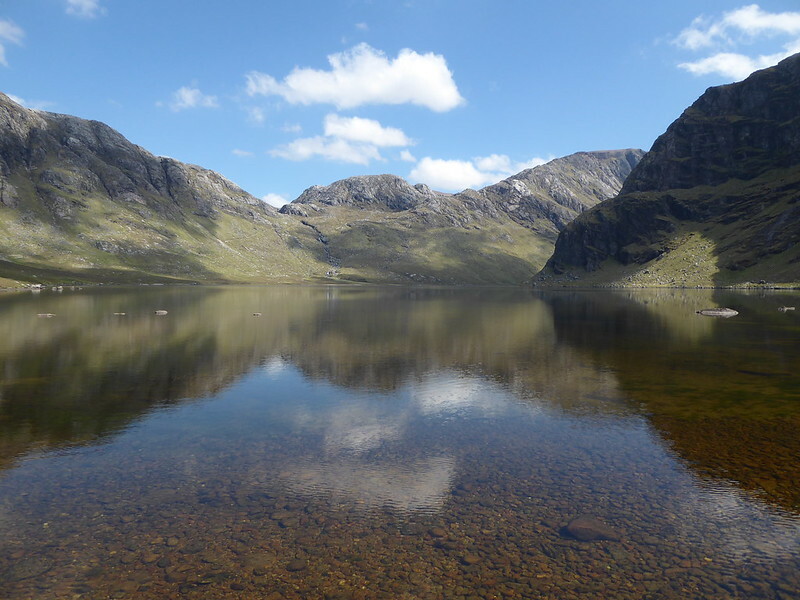 At one point I even stuck my jacket in the lochan & then put it on to keep me cool. This made a change from the usual dunking ma buff in the river & slapping oan ma heed to keep cool. Further up there was a lack of water but we both managed to find a little lochan to fill up, making sure we had enough for dinner & breakfast. 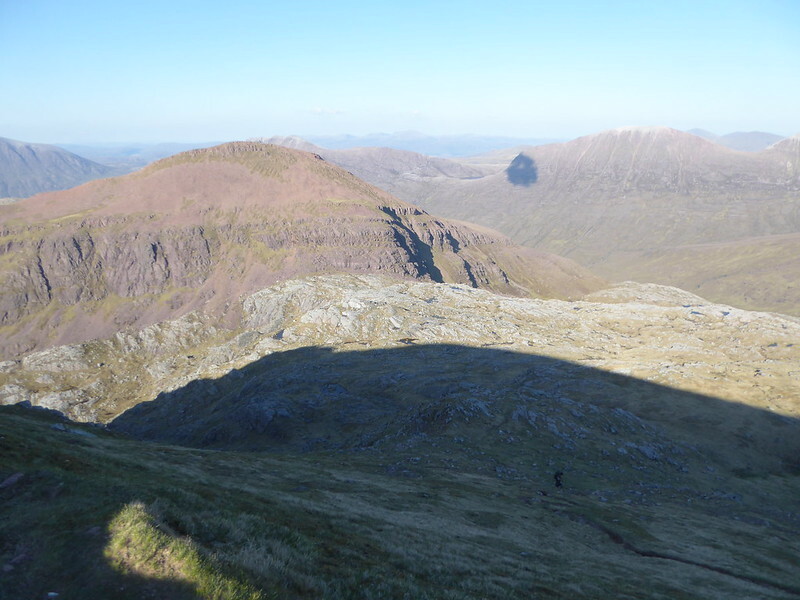 At the bealach we had some food & I managed to find a sheltered rock. 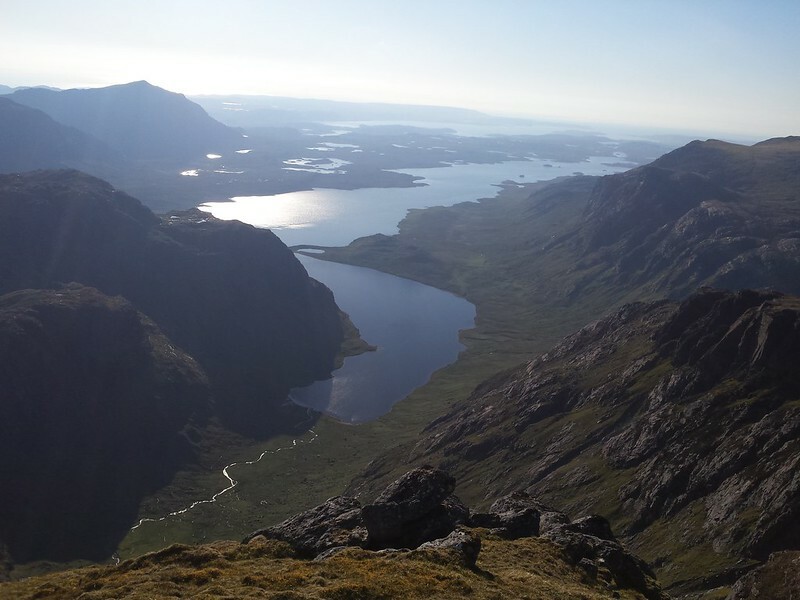 Then we ditched the packs for the ascent up the boulder field of Ruadh Stac Mor which felt great to be rid of the heavy camping gear. 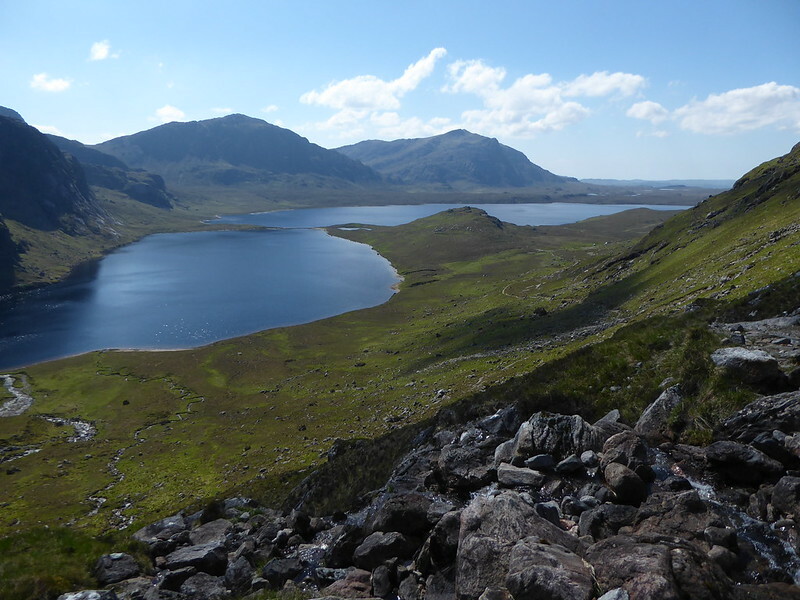 From Ruadh Stac Mor Robin zoomed in & saw tent not far from A'Mhaighdean's summit. 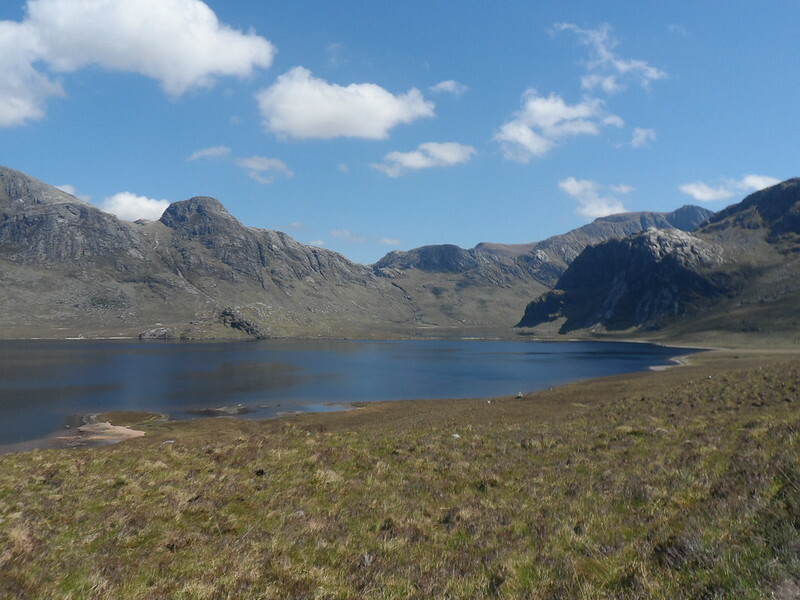 We descended to the bealach to pick up our bags before the final climb to A'Mhaighdean which was in the shade as the sun was dipping. 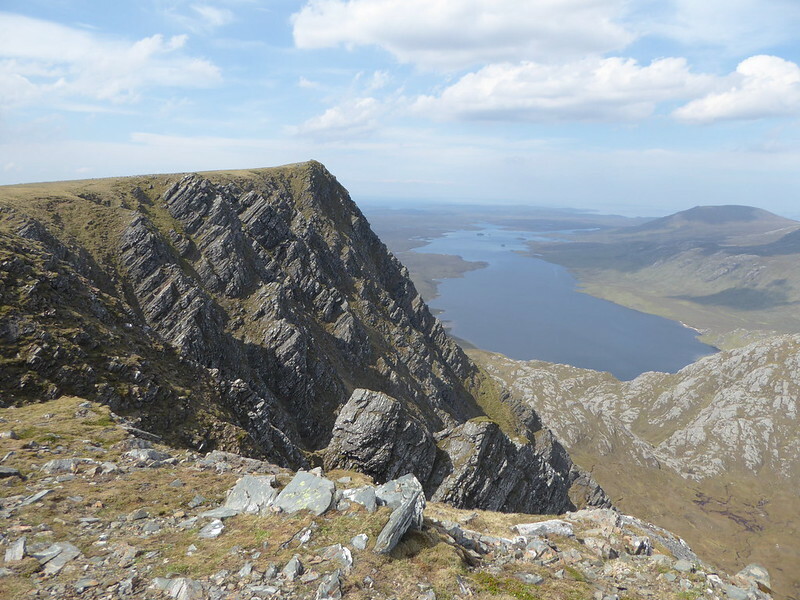 We arrived at the summit but didn't see the owner of the tent we'd seen from Ruadh Stac Mor. 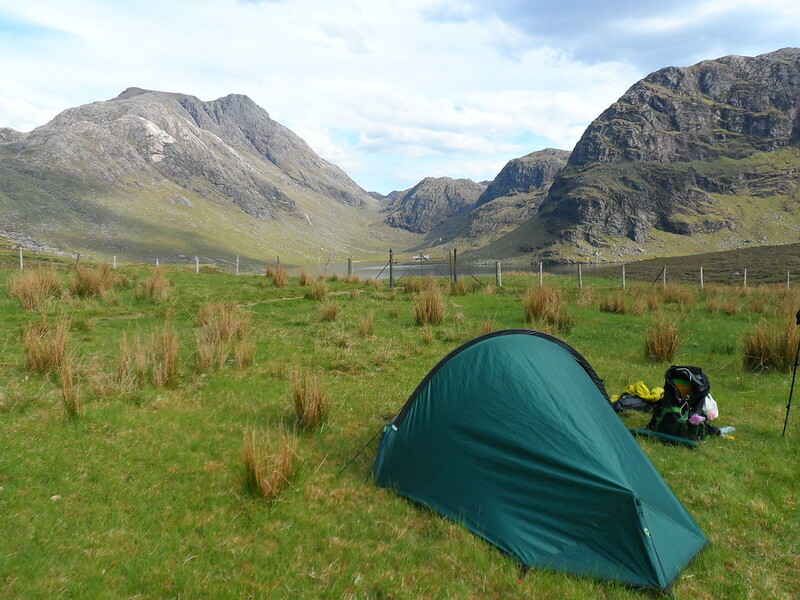 We admired the views briefly before getting the tents up. After dinner we explored around the summit. 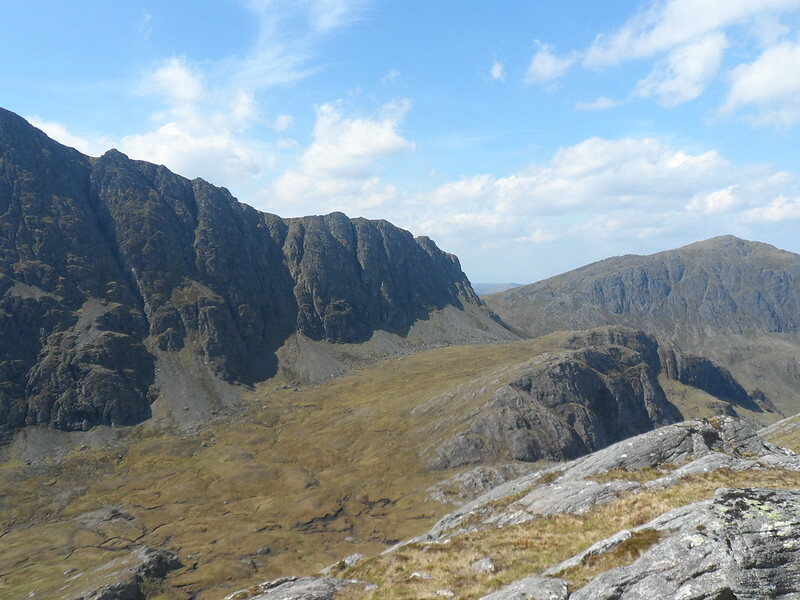 A'Mhaighdean's West face drops away before you and there's lots of rocky outcrops to walk out to for photographs. 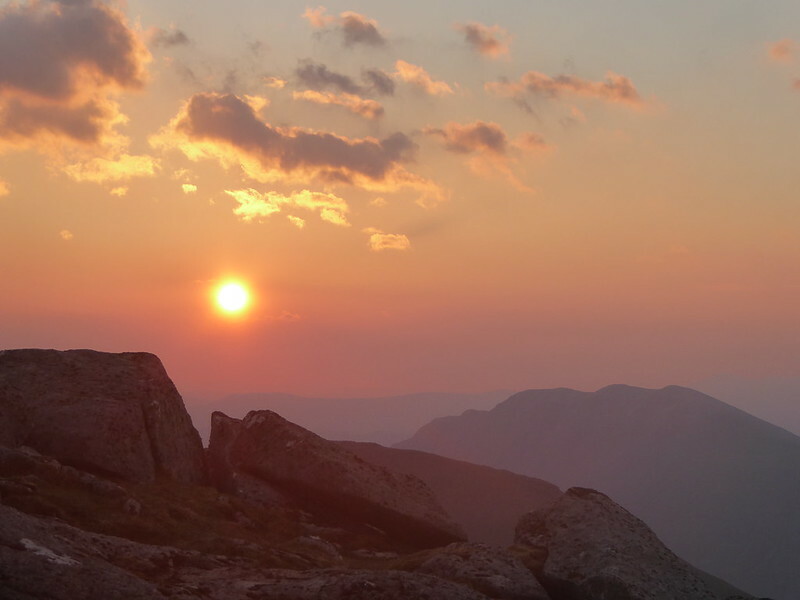 The chap who owned the other tent appeared at the summit cairn & was up to take in the sunset. We didn't catch his name but he was a friendly lad. 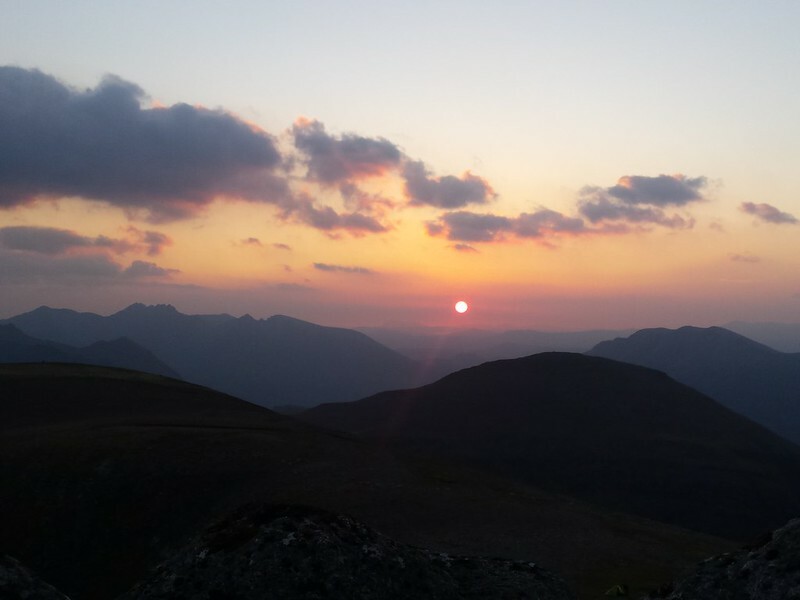 We got chatting and the three of us loitered around the summit watching the sunset and taking photos. 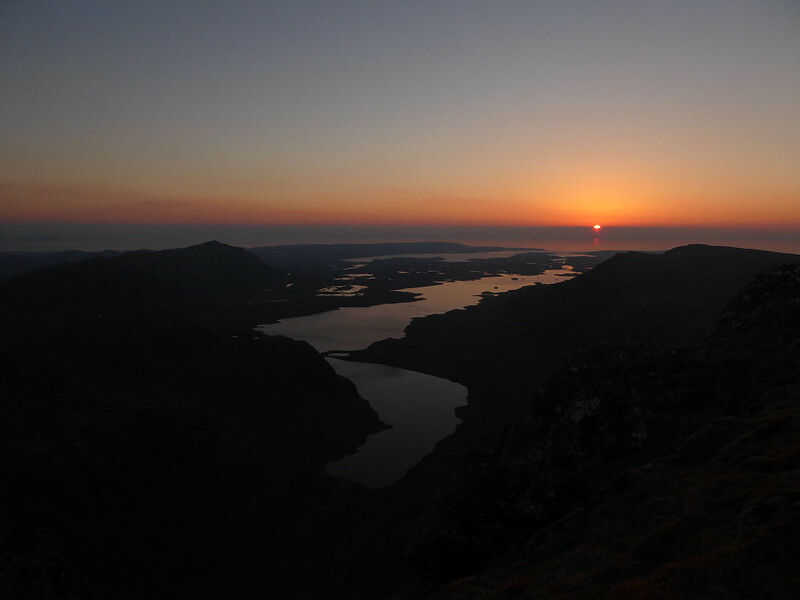 The sun eventually disappeared below a bank of cloud on the horizon. 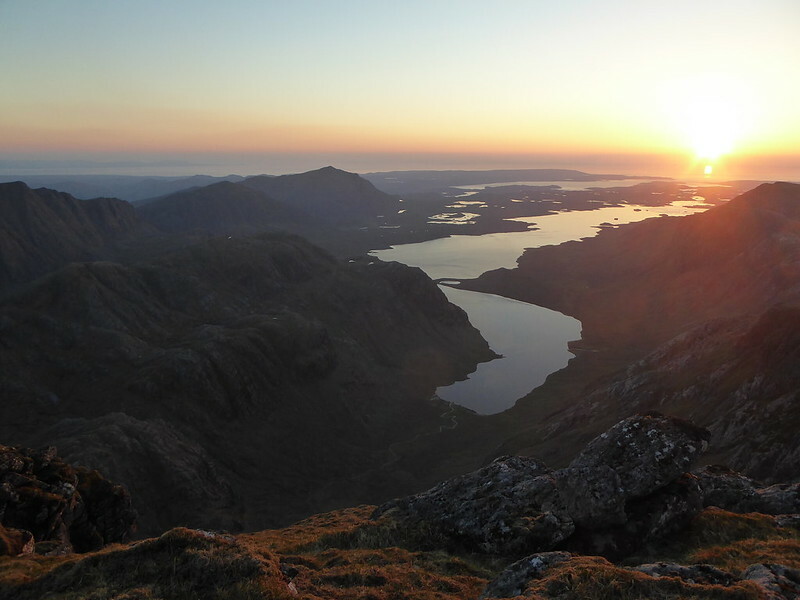 Robin cracked open the hip flask and poured us a dram before calling it a day. It was a pretty restless night with both of us having no sleep. 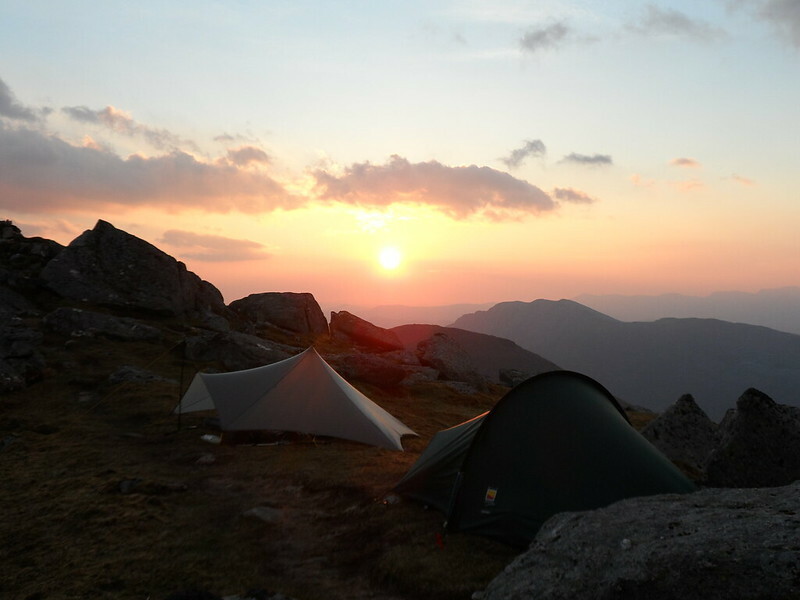 The wind had picked up abit so my tent rattled. I got up around 4 as did Robin. He was pitched over a slight ditch so his tarp wasn't as tight as normal. The other guy had reappeared shortly after too & like the sunset last night, we loitered around waiting in anticipation for sunrise which luckily enough was impressive. 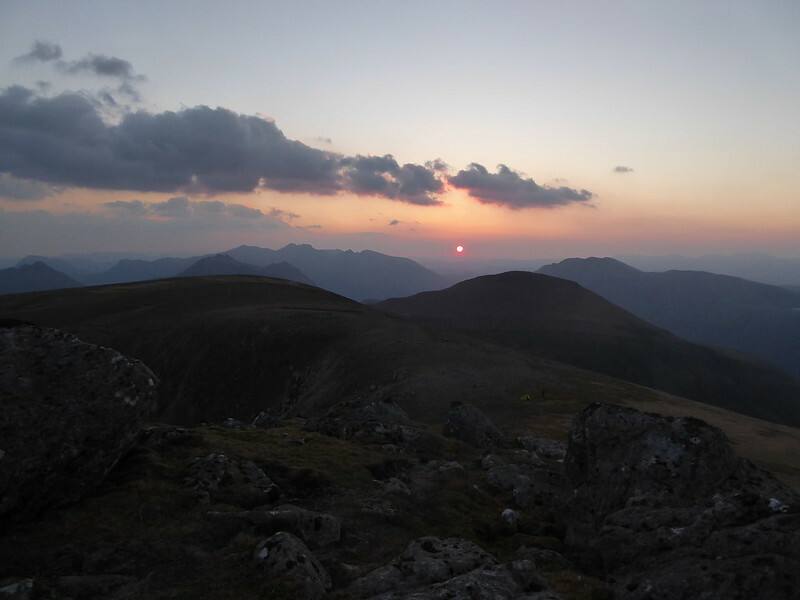 The sun appeared by An Teallach & we could spy a distant hill that the sun was lighting up. Robin's Peak Finder Earth app identified the hill as Ben Klibreck. Headed back to the tent & managed to get some shut eye for an hour & abit. We got breakfast sorted and broke camp shortly after. 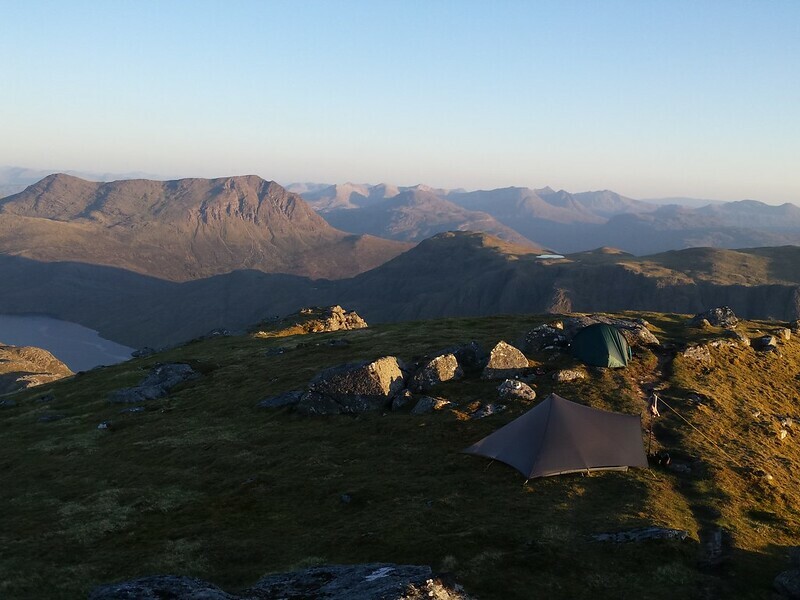 Our plan was to traverse the 3 hills in Letterewe starting with Beinn Lair and finishing with a second summit camp on Beinn Airigh Charr. 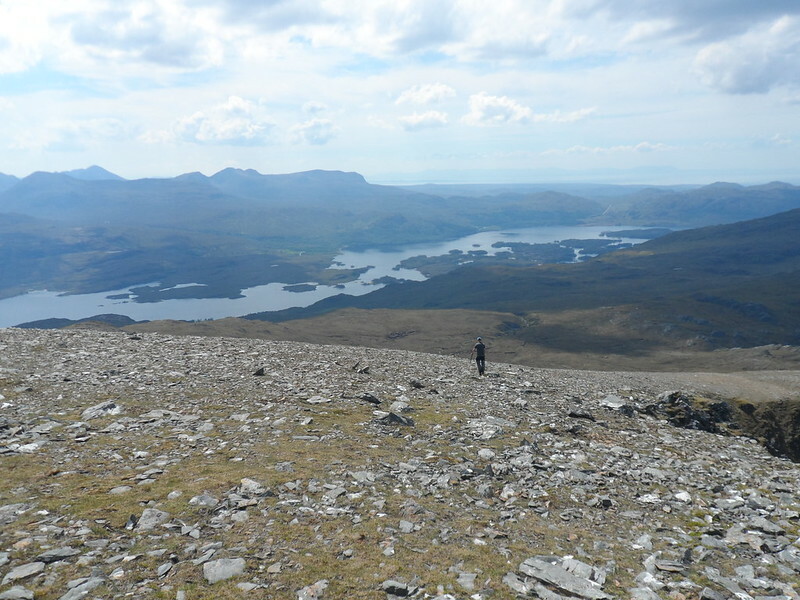 Not wanting to return the way we came, we decided to descend south east off A'Mhaighdean then south towards the minor top, Meallan nan Gobhar, before veering off to pick up the ridge of Beinn Tharsuinn Chaol. Once we got to the ridge we enjoyed heading over & around the humps & bumps. 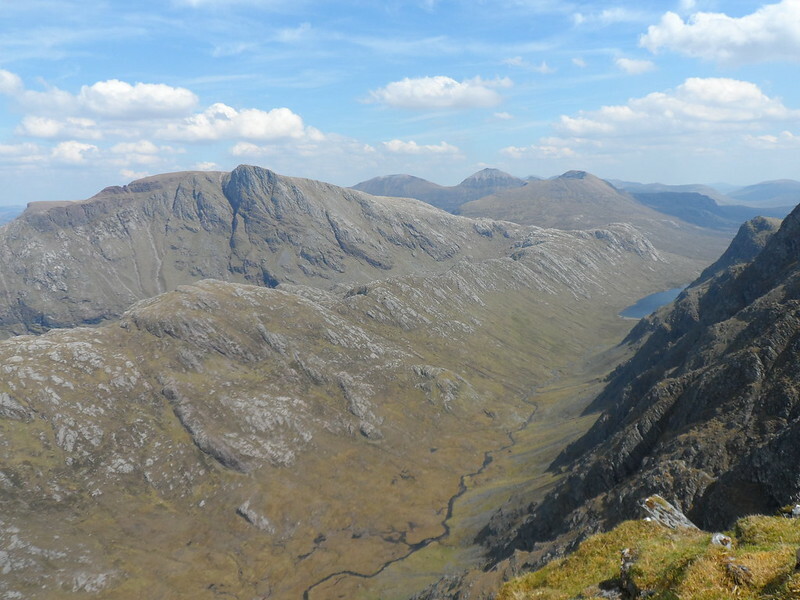 You could tell this ridge is undisturbed & isn't frequented by humans. 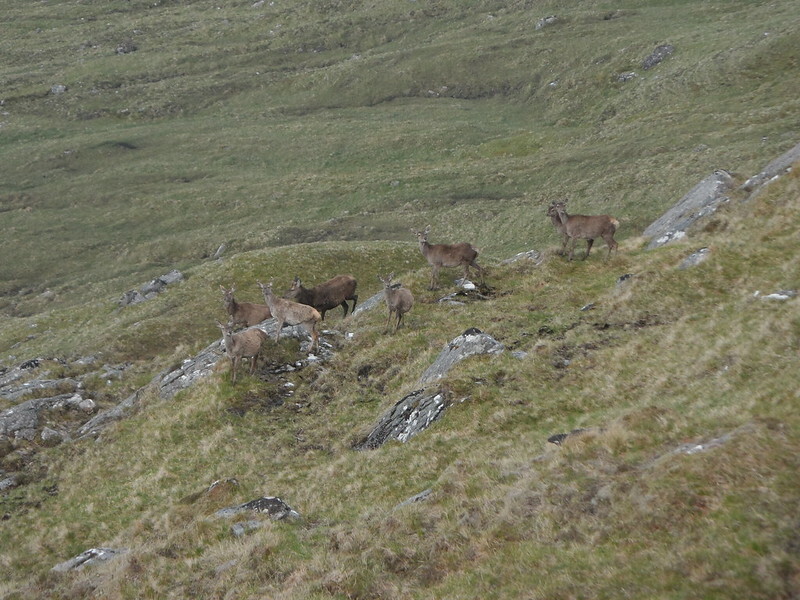 Sure enough along the ridge we disturbed a herd of deer. 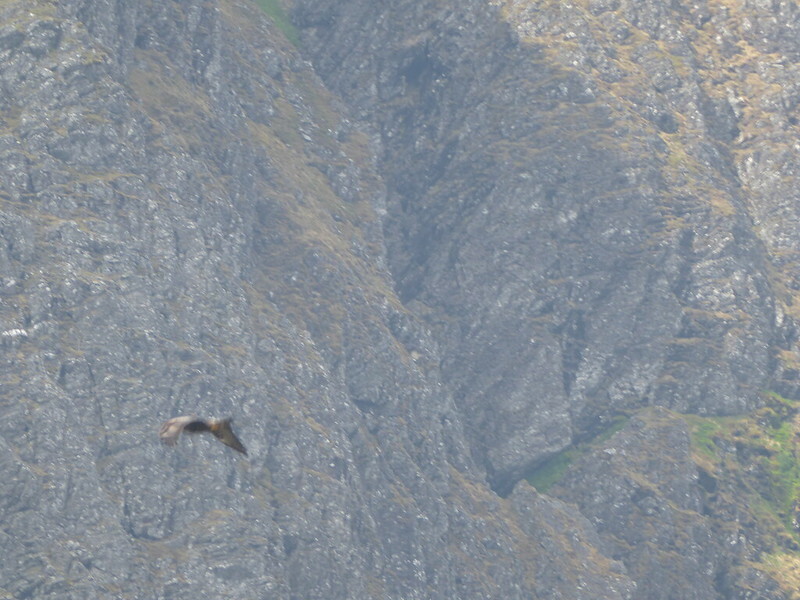 Then further along Robin startled a Golden Eagle which flew up & over to the crags on Beinn Lair. 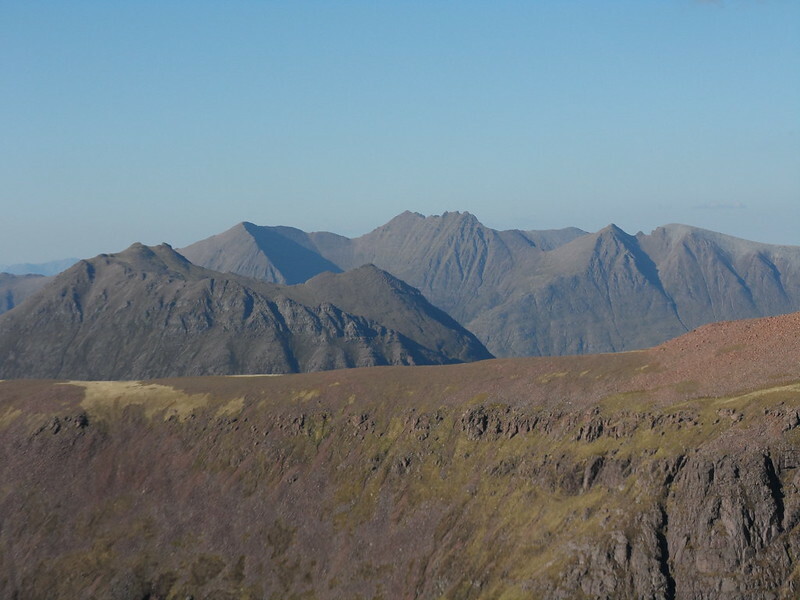 The ridge of Beinn Tharsuinn Chaol is in a fantastic remote position. 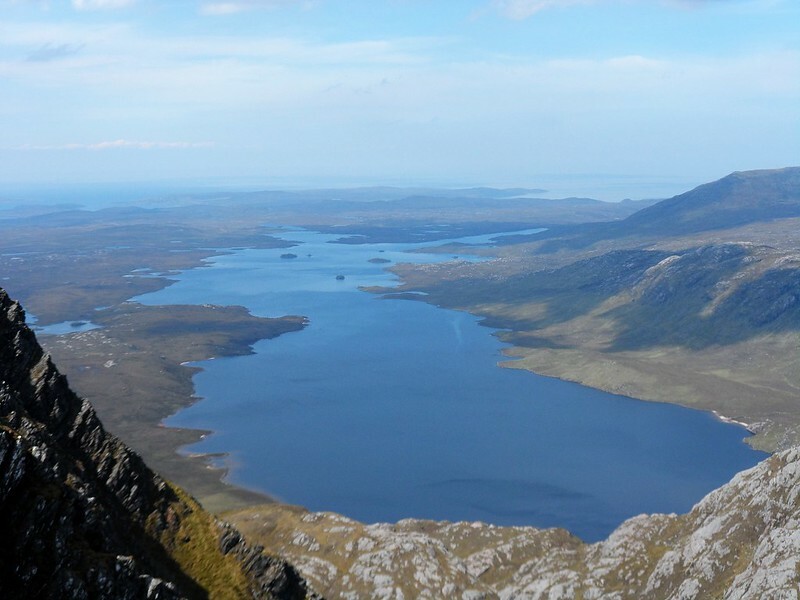 To the south you have around 4 kilometres of crags plunging hundreds of metres from the plateau of Beinn lair down to Lochan Fada and Allt Gleann Tulacha below and to the north , the craggy side of A'Mhaighdean towers above you and Gorm Loch Mor. 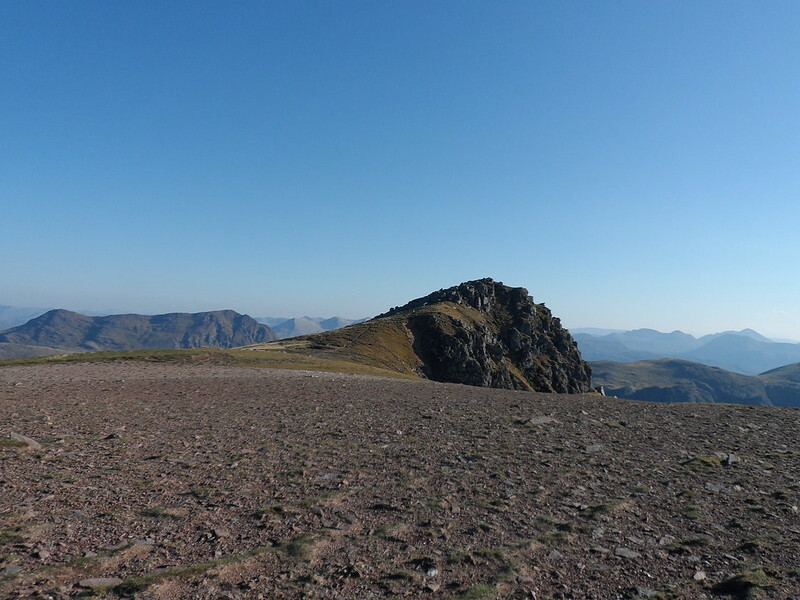 We plodded on, over the many ups and downs before reaching the summit at 652 metres. Although this top is high enough to be a Graham, it falls short of around 20 metres of the requisite 152m prominence needed. Suprisingly we spotted another walker coming towards us & stopped for a blether. Unbeknown to us at the time it was Rob Woodall, the first person to bag all 1,556 Marilyns as Robin discovered via mutual friends on Facebook. 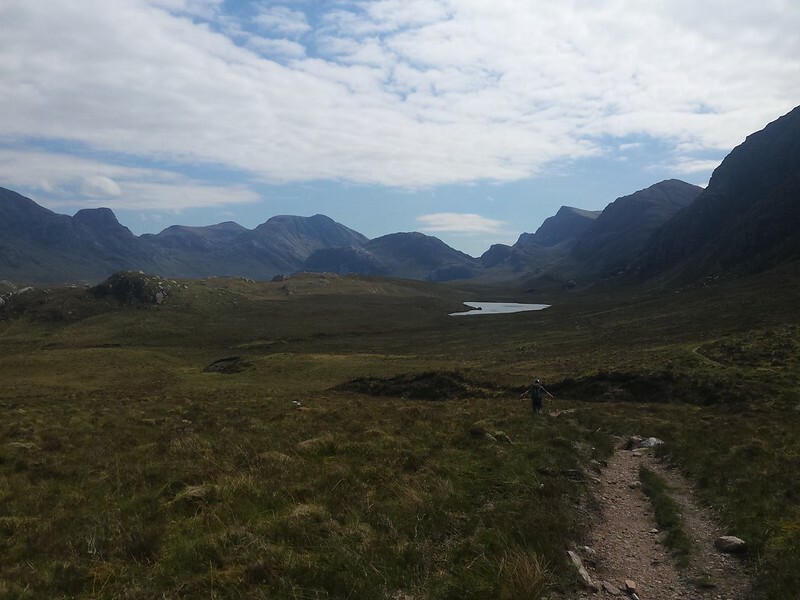 We descended via a steep grassy slope towards Bealach a Chuirn. 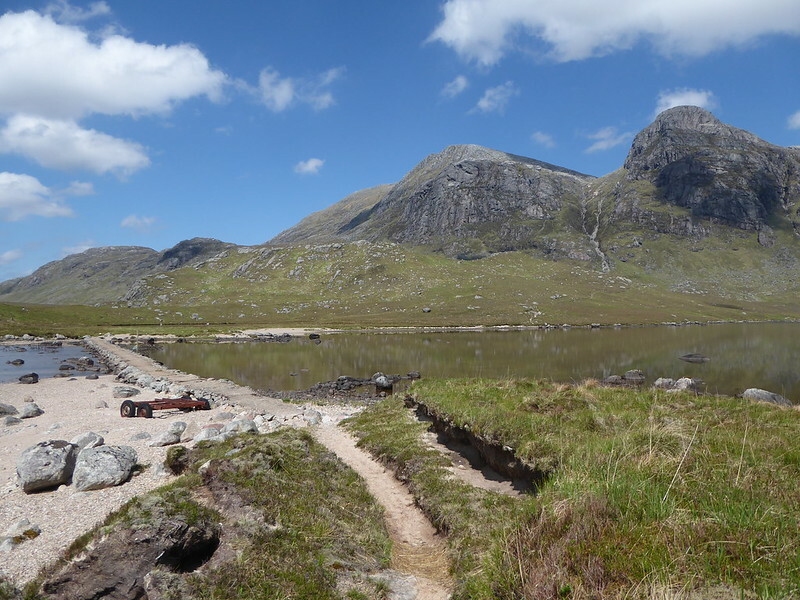 We then picked up the stalkers path to Bealach Mheinndh where we took advantage of some shelter out of the blistering heat to have some lunch. Today felt much hotter than yesterday and we were beginning to struggle in the heat. 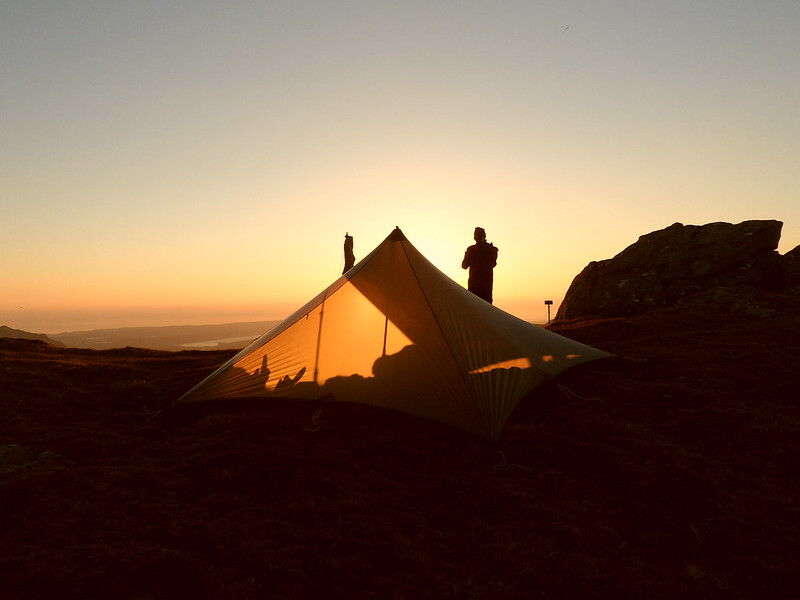 The forecast was for the wind speed to increase therefore we both agreed to leave out our second summit camp and instead settle for a pitch by the causeway. 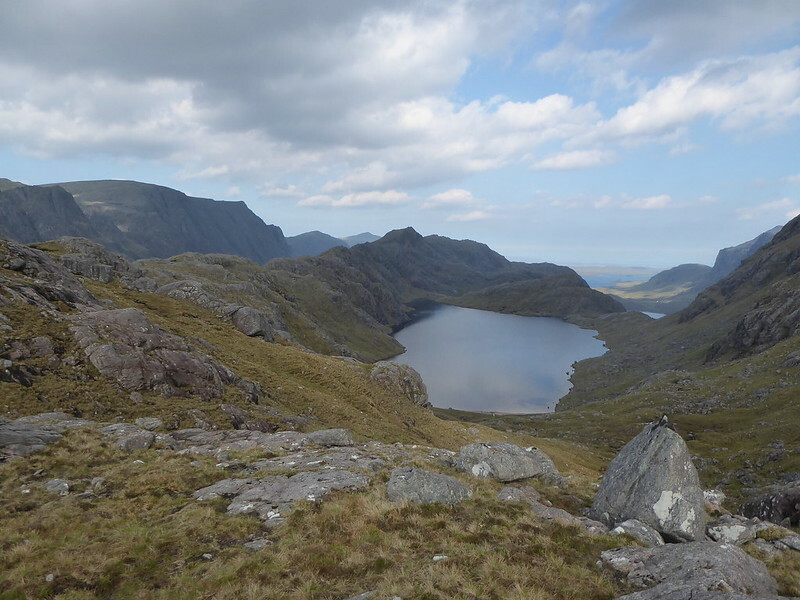 We didn't fancy carrying the camping packs in this heat over another 2 hills & another summit camp in windy conditions. 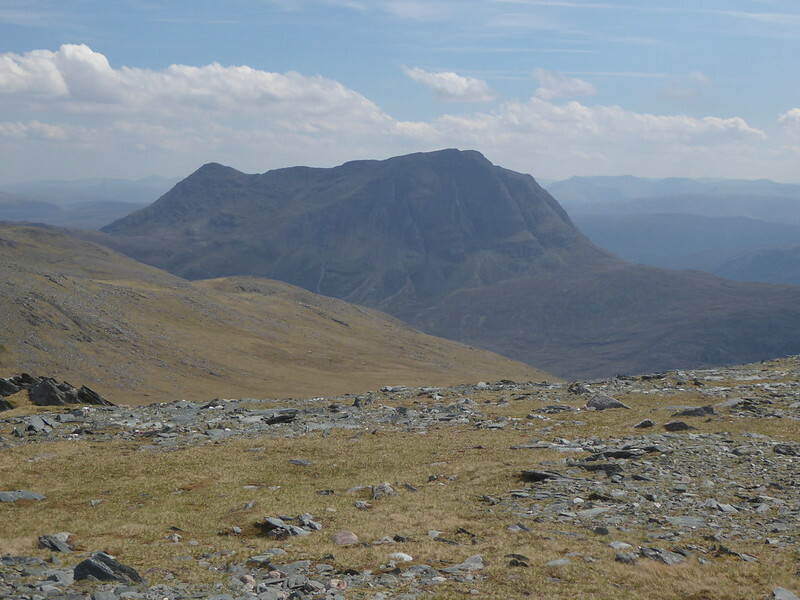 After lunch we continued on up the path until we veered off to begin the climb up Beinn Lair. We dumped the packs and took only 500ml of water each and our cameras. 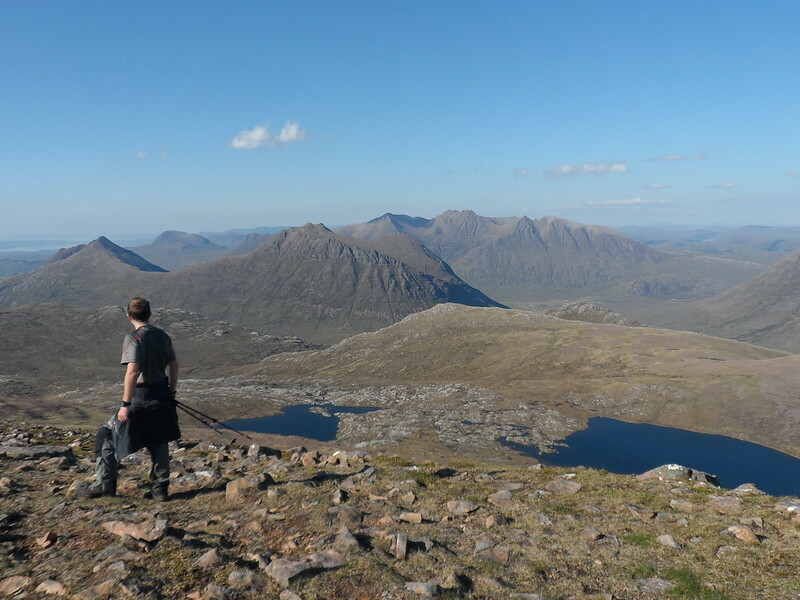 Headed up to the first cairn admiring the views over to the ridge of Beinn Tharsuinn Chaol & Gleann Tulacha. 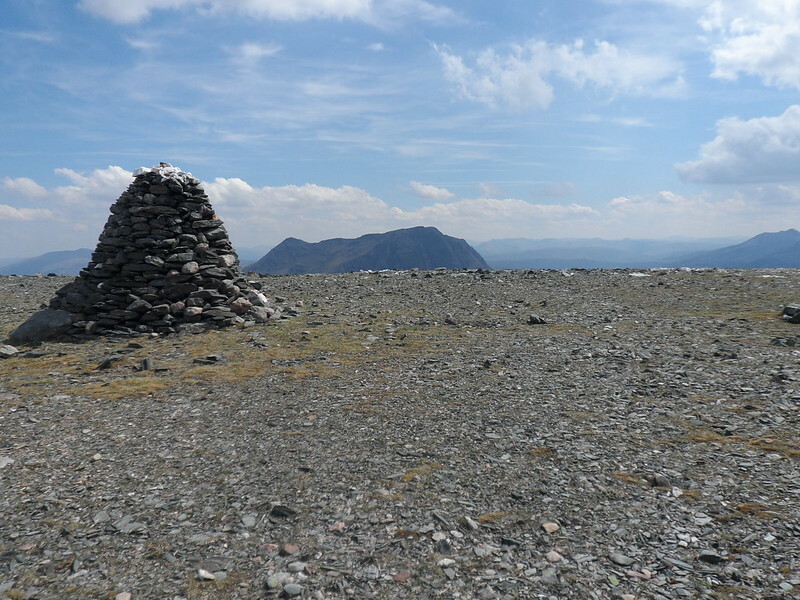 From here it was only a 10 min walk to the massive summit cairn of Beinn Lair. 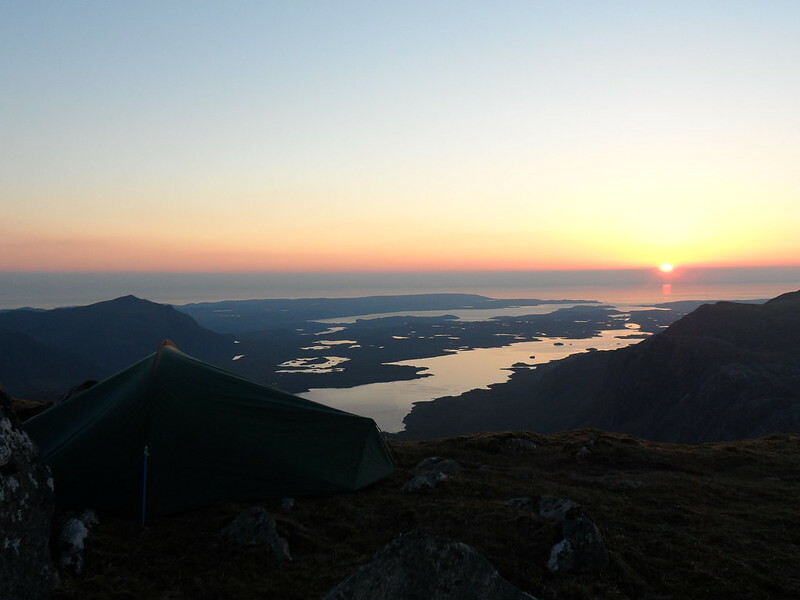 We sat and relaxed in the sun for a bit, eventually deciding to return to our packs and head to the causeway to pitch up and have a more relaxed camp. We reached the causeway to discover someone had beat us to our pitch so we opted to head back to Carnmore and pitch near the lodge. 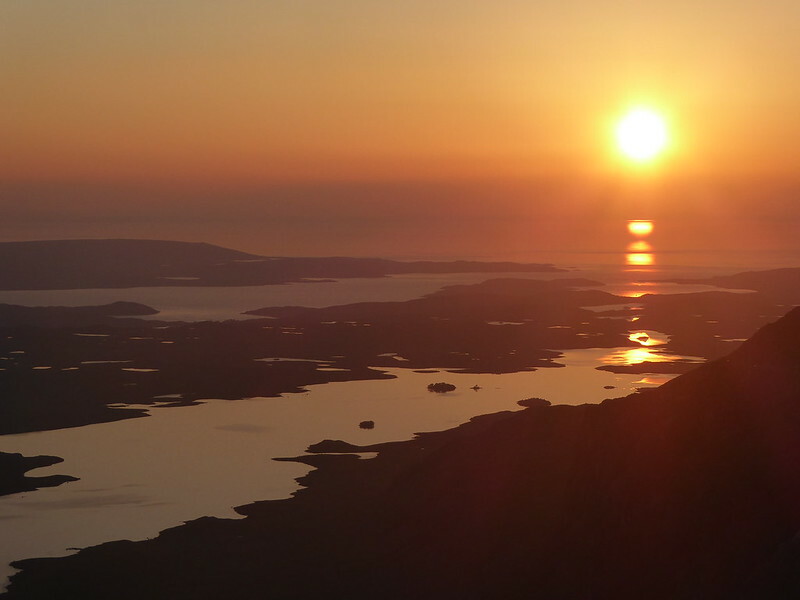 After dinner we wandered up Carn na Paite, just south of Carnmore (unnamed on 1:50K maps). 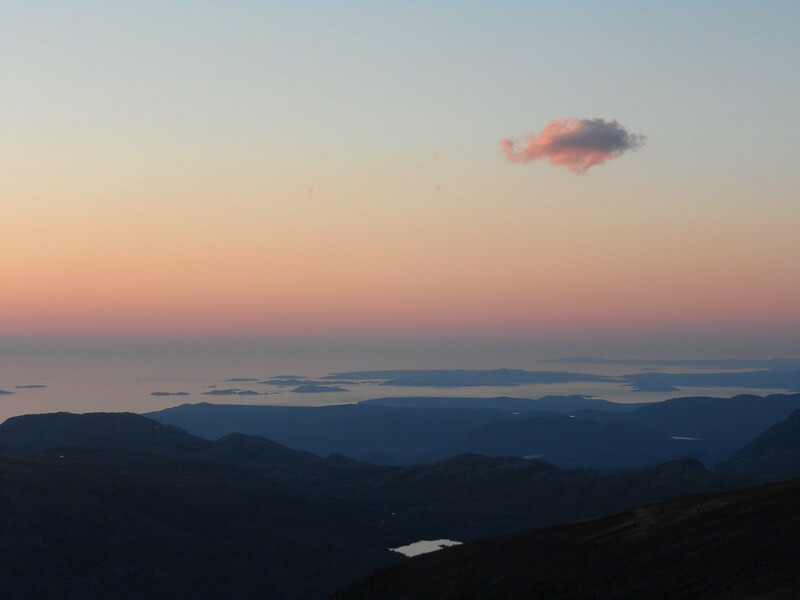 Sadly the cloud had rolled over the Atlantic, no sunset tonight, but we can't really complain after last night. We dropped down to the jetty then up to the bothy and back to our pitch for a large dram, before turning in for the night. The wind had dropped and the midges tried to put a dampener on the whisky, but the Monkey's Shoulder went down nicely regardless of the midges' presence. We got up at 7sh for breakfast & packed up for our 4 hour walk back out to Poolewe. We got an update on the weather the night before, it was meant to be rainy with thunderstorms in the afternoon. The thunder never arrived but by the time we walked back to Poolewe and arrived Gairloch at 2 o'clock, the rain had started and didn't really stop until the next again day. At Gairloch we pitched up at the campsite, got hot showers and headed off to the pub to watch both the Scottish and English cup finals back to back. 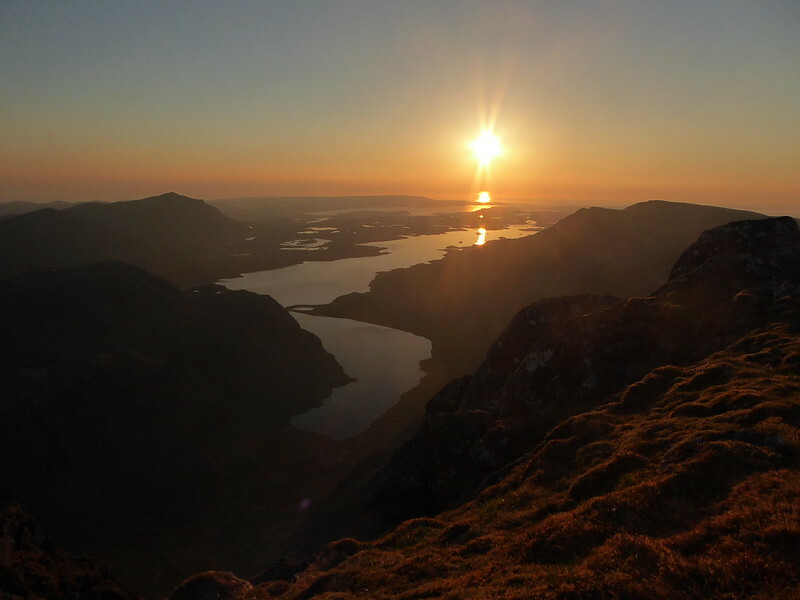 A cracking weekend in such an amazing area. Looking forward to the return. Bottoms up on the Southern Uplands!